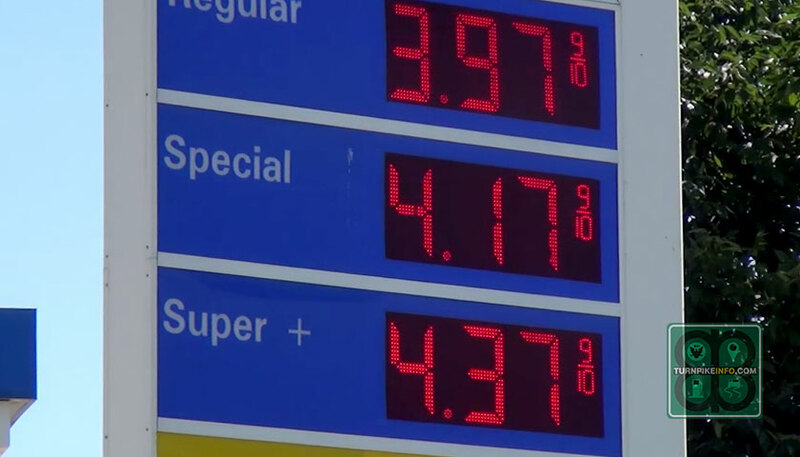 The price of a gallon of gas hit a new low for the season as the national average cost fell to only $3.21, according to the latest weekly survey from the U.S. Energy Information Administration. The EIA report shows gas prices at the national level fell more than 9¢ per gallon over the past week, although some regions experienced a larger decline. For the Gulf Coast region, prices have fallen so low that some stations are selling fuel for less than $3.00 per gallon. Region by region, the news for drivers is very good. Even on the West Coast, where prices are traditionally the highest in the country, the price of regular unleaded has fallen to $3.54 per gallon, and while that number is much higher than other survey regions, it is more than 50¢ per gallon less than the peak price, which was recorded at $4.07 per gallon in the April 28, 2014 survey. For most drivers across the U.S., the price of gas ranges between $3.20 and $3.35 per gallon. 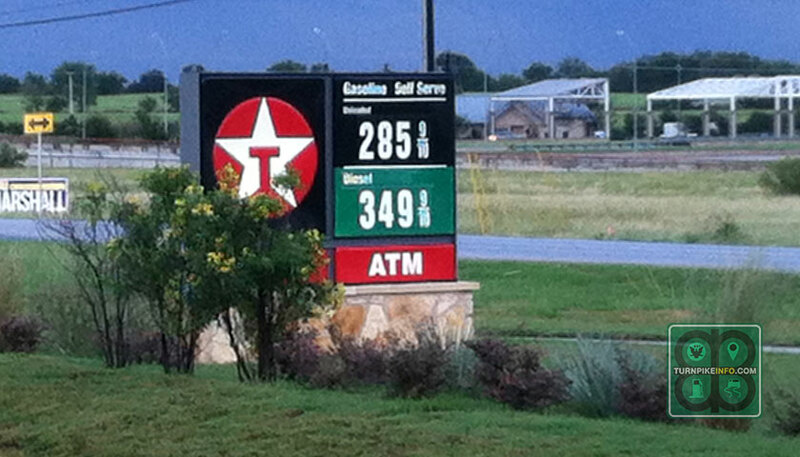 Gas prices at this station north of Austin, Texas, underscore just how much retail prices have fallen since the summer peak. Photo: Kristen Scallion. The declining cost of retail gas is due to a decline in global demand, a slowdown in U.S. demand with the end of summer driving, and higher shale oil production in the U.S. These factors, among others, have pushed domestic crude oil prices to their lowest levels since the end of June 2012; West Texas Intermediate (WTI) was flirting with the $80 per barrel level early Tuesday, down about $25 per barrel from the summer peak. Overseas, Brent Light Sweet Crude is also at a low point. In fact, the spread between Brent and WTI was less than $3 dollars Tuesday. The difference between the two benchmark futures indices has been much greater in recent years, sometimes more than $25 per barrel, according to MarketRealist.com. While all drivers are catching a price break at the pump, drivers in many cities are not getting quite the break their rural counterparts are enjoying. Overall, prices in urban areas are down, but drivers typically pay as much as 35¢ per gallon more at some city gas stations than they would if they drove just a few miles out of town. For instance, prices in the Lower Atlantic states are current averaging $3.15 per gallon, but prices in the urban core of Fort Lauderdale, the home of Turnpike Information Company, are as high as $3.49 per gallon. 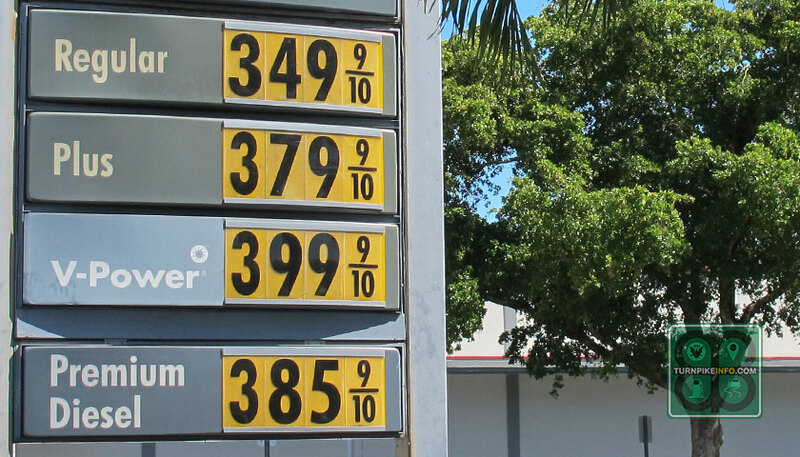 In adjacent Oakland Park, Florida, which shares a border with its larger neighbor, prices are only $3.25 per gallon for regular unleaded, a 24¢ difference. 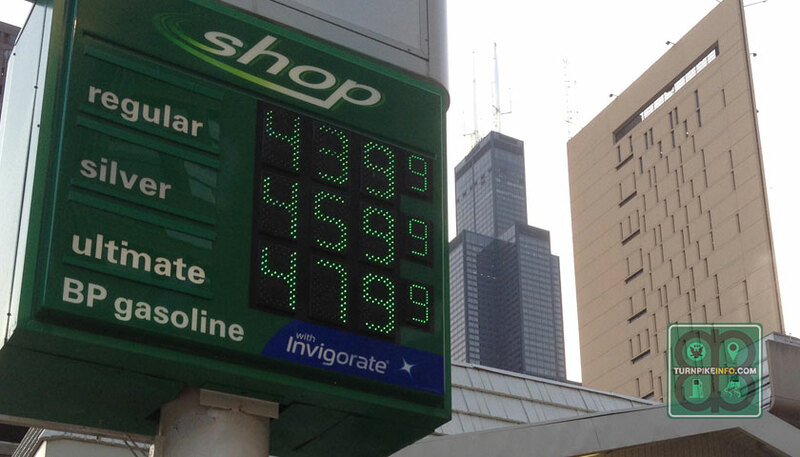 The price of diesel fuel is coming down, but not as quickly as the cost of gasoline. The price of retail diesel fell by about 4¢ per gallon during the past week, brining the national average price of diesel down to $3.70. 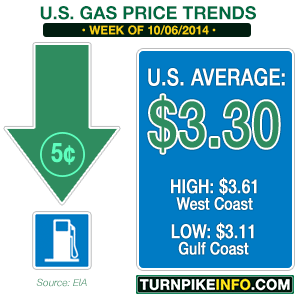 Prices fell the most across the West Coast and the Central Atlantic states. 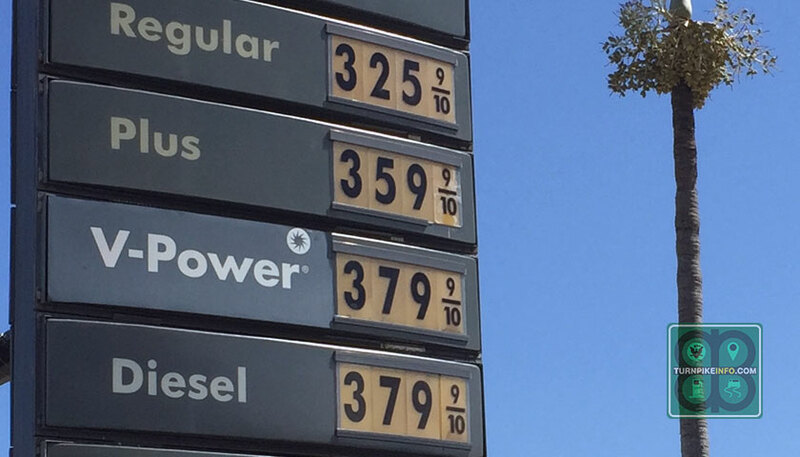 California has the most expensive diesel in the U.S., with prices still near $4.00 per gallon; the Midwest and Gulf Coast regions have the lowest diesel prices at the moment, with averages in each region currently at $3.64 per gallon. An increase in domestic crude oil inventories, lower consumer demand and a slowing global economy all have contributed to a new slate of drops in crude oil prices, this as the September declines in crude are now beginning to be noticed at the pump. The average U.S. price for a gallon of regular unleaded fell a nickel last week, bringing the price of gas to $3.30, according to the latest survey from the U.S. Energy Information Administration. Last week, prices at the national level were largely unchanged, according to the survey. Prices at the retail level have been following declines in crude oil futures. West Texas Intermediate, the domestic crude, is down more than $15 from its summer high. It was trading just under $89 per barrel on the New York Mercantile Exchange midday Tuesday. The overseas crude benchmark, Brent Light Sweet Crude, is trading under $93 per barrel, a price point more common for WTI. Part of the reason for the decline is a rise in domestic crude inventories. A Bloomberg survey last week found stocks had increase by 2-million barrels, adding inventory amid a slowdown in consumer demand. What is more, the International Monetary Fund announced Tuesday it had reduced its global growth forecast for 2015. This week’s gas price plunge was much larger for the Midwest Region, which is known to have greater pricing volatility than other survey districts. Prices from Wisconsin to Ohio dropped an average of 10-cents per gallon during the past week, with cities like Chicago and Cleveland enjoying average declines of 9¢ and 10¢, respectively. The Lower Atlantic states had the lowest price decline of all the regions, at just one penny per gallon. Meanwhile, the Gulf Coast continues to enjoy the lowest prices in the nation. With the cost of gas dipping about a nickel per gallon in most spots, the average price from Texas to Alabama is about $3.11 per gallon. The West Coast remains the most expensive place to gas up, with average prices for regular unleaded gas going for about $3.61.